Beautiful home, and easy living! Welcome home to your spacious open floor plan, private elevator, a large master bedroom and gorgeous master bath. This end unit condo features a private entrance leading you to the the foyer with a beautiful hardwood staircase, or to your PRIVATE ELEVATOR. On the 2nd floor your met with your living area featuring beautiful hardwood floors. Enjoy the spacious open kitchen, 42'' custom cabinets, granite counters and large island, brining you into your your family room featuring tray ceiling. The large master retreat, with tray ceiling, large walk-in closet and the master bathroom featuring high ceilings and sky light will not disappoint. 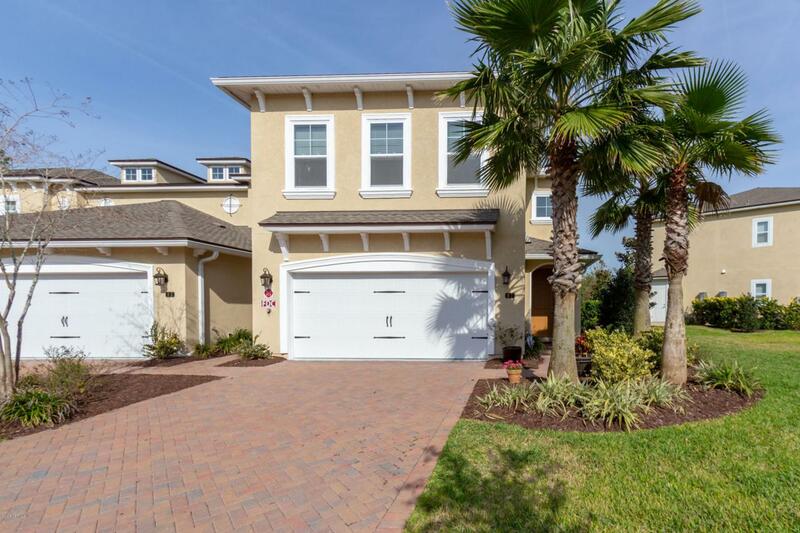 Kick back on your screened in balcony and enjoy views of the preserve.You'll find you have plenty of storage in this home, including a spacious laundry room, built in storage in your attached 2 car garage and an attic equivalent in size to your entire layout! Take advantage of all community amenities including walking trails throughout, two large resort style pools, a splash park, fitness center and clubhouse. Hit the tennis courts, basketball courts, or volleyball courts with friends and family! Or you may find yourself hosting a gathering at the picnic pavilion and don't forget to visit the playground, dog park, soccer field or softball fields. Come home and live luxuriously and low maintenance in the gated Coastal Oaks community at Nocatee! © 2019 Northeast Florida Multiple Listing Service, Inc. All rights reserved. The data relating to real estate for sale on this web site comes in part from the Internet Data Exchange (IDX) program of the Northeast Florida Multiple Listing Service, Inc. Real estate listings held by brokerage firms other than Florida Homes Realty & Mortgage are marked with the listing broker’s name and detailed information about such listings includes the name of the listing brokers. Data provided is deemed reliable but is not guaranteed. Data last updated 2019-04-23T08:26:35.83.